Walking into The Alverton Hotel in Truro for dinner feels special. Having just undergone a major refurbishment, the former convent manages to combine a sense of history with contemporary elegance. A place to relax and enjoy fine dining whilst also appreciating the well-designed décor and smiling, attentive staff. I went there with Rosie, my eldest daughter. We both love our food and, when choosing somewhere to eat, it’s important for us to have an ambience that we both feel comfortable in. Somewhere we can chat without feeling we need to lower our voices, or laugh without attracting attention. The Alverton achieved that effortlessly, resulting in a really good evening out for us both. It started in the bar where we were given a menu to look at over a gin and tonic (me) and a fruit juice (Rosie - who’d drawn the short straw and was driving). It’s so nice to be asked not only what gin you’d prefer but also which tonic. I opted for a Plymouth with Fever-Tree (I’m told the latter is now tonic water’s market leader and that it comes in subtly different flavours). Sarah, our very friendly waitress, took our order after talking us through our choices and led us through to the restaurant. Spacious, with good views of the garden, well-designed lighting and delightfully squishy seating, it’s a pillared room that’s been thoughtfully laid out. Quickly settling down at our table, we were offered some delicious, freshly-baked bread before our starters arrived. 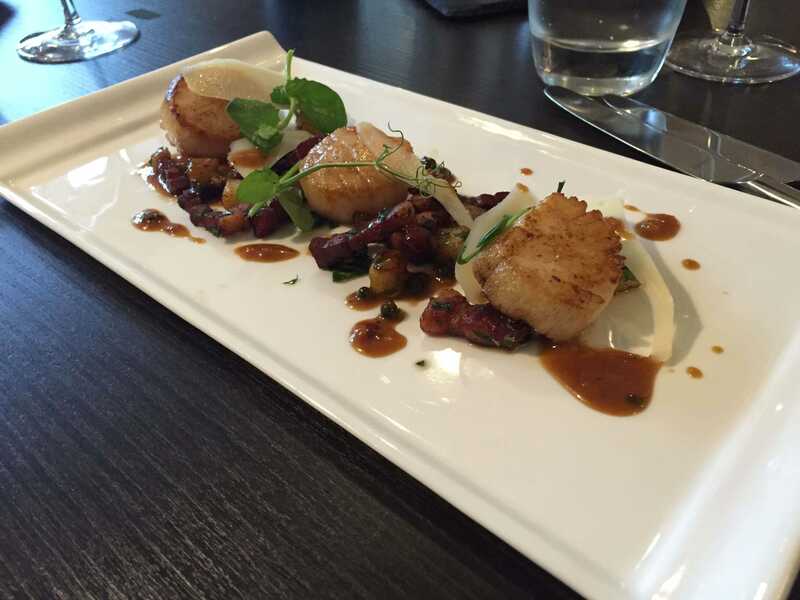 I’d chosen pan-fried scallops with peppercorn sauce, crisp pancetta, parmentier potatoes and shaved parmesan (£10), whilst Rosie had glazed fresh figs and goat’s cheese with apple, celery and walnut, mixed leaf and baby beets and walnut vinaigrette (£8). 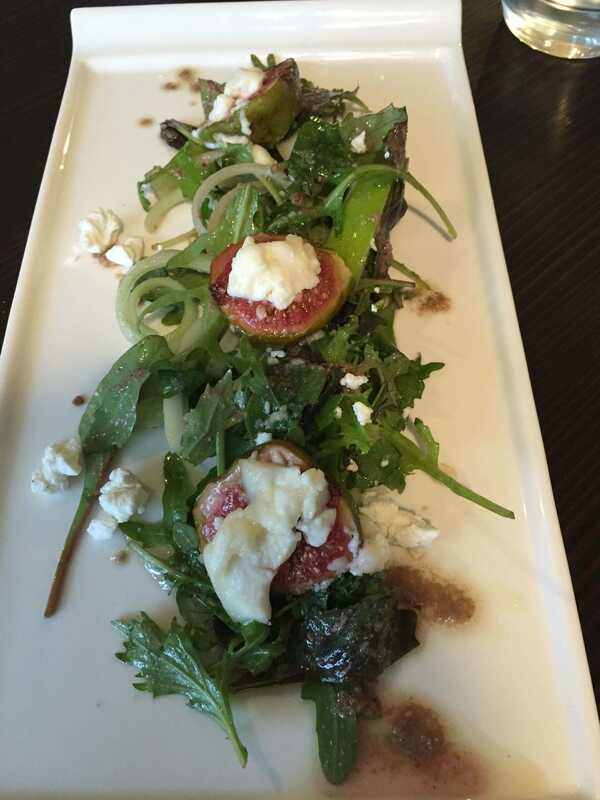 Both dishes were beautifully presented and mouth-wateringly good. 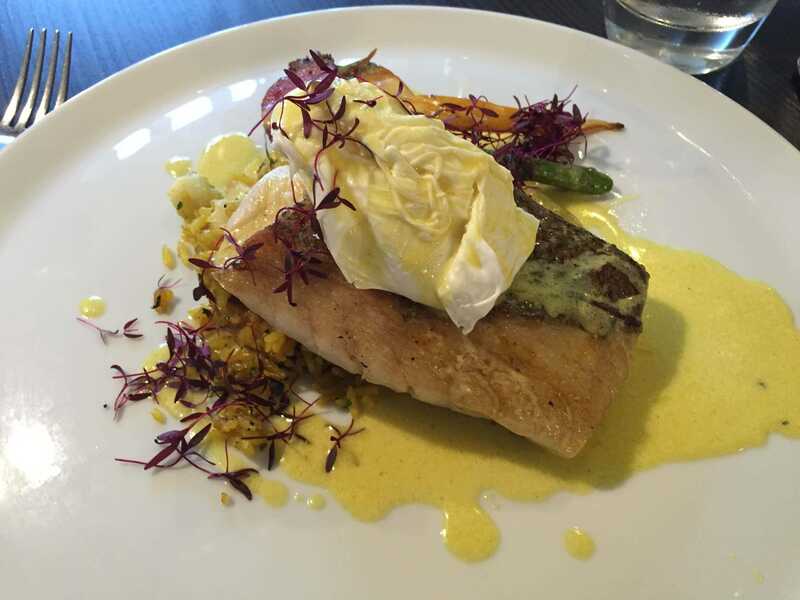 For mains, I’d selected pan-fried hake with smoked haddock kedgeree, seasonal vegetables, soft poached egg and curry cream (£16). The combination was sublime. 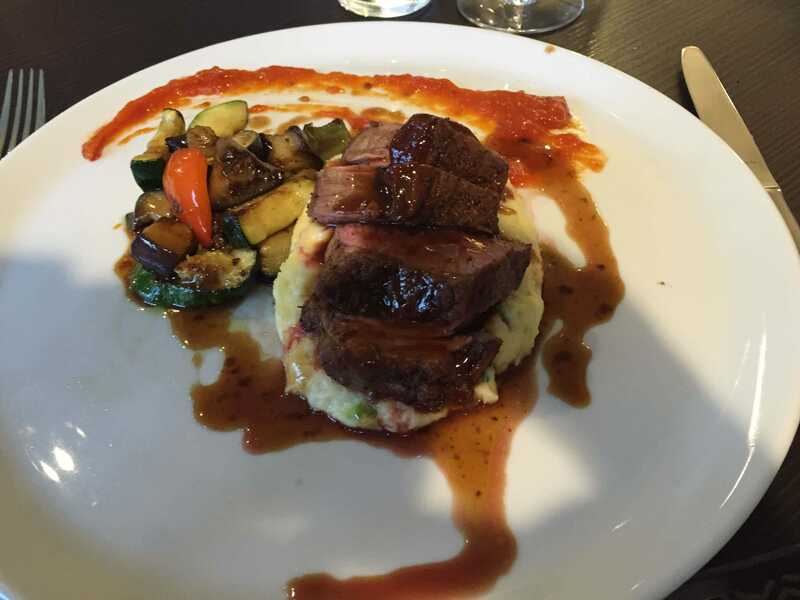 Rosie’s pan-roasted rump of lamb, served with champ potato, garlic-roasted vegetables and sunblushed tomato veloute (£19) was equally impressive. For those wanting more basic fayre, ‘old school favourites’ like fish and chips (£12), Alverton Pie (£12), The Big ‘A’ Burger (£12) and a simple beef burger (£10) were also available. 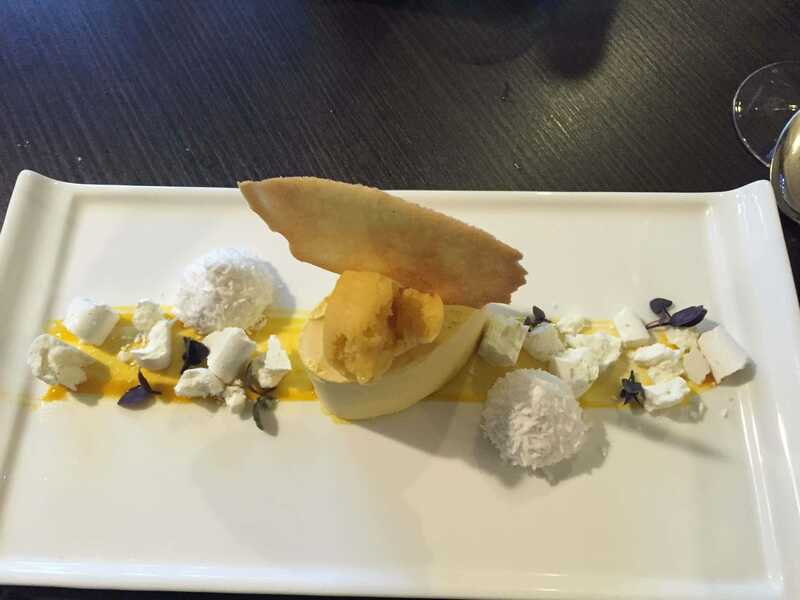 Completing a memorable meal was a mango parfait dessert (£7) that came with passionfruit sorbet, coconut tuille, lime meringue and coconut marshmallow. We both went for it and were equally smitten. It was just plain gorgeous – and looked fantastic on the plate too. The Alverton Restaurant did us proud. Like the rest of the hotel, it’s stylish, the service is top notch and the food first-rate. In our opinion, an excellent place to eat out in Truro.